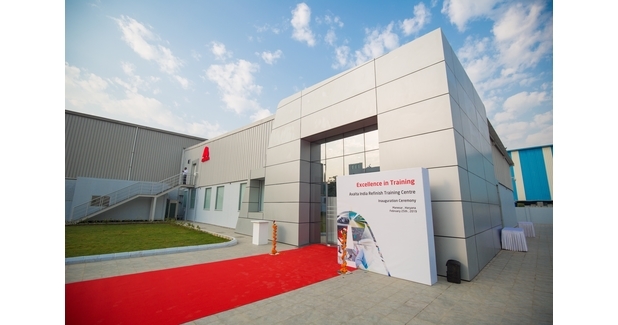 Coatings manufacturer Axalta has opened its largest and most advanced Refinish Training Centre, spread over 20,000 square feet in India. The state-of-the-art training facility was inaugurated by Sobers Sethi, President, Emerging Markets, Axalta. Axalta now has four dedicated training facilities in India. Axalta expects to train around 1,000 technicians at the new training centre this year. Customers will use the company’s latest coating technologies, as well as industry-leading training techniques and advanced digital tools. Axalta will also demonstrate the latest spraying application systems that use less energy and reduce waste, have fast-drying finishes and use superior colour matching technologies. Through this centre, customers in India can stay on the cutting-edge of coating technologies and techniques that are designed to deliver benefits to their businesses immediately and for the long-term. The training centre is also equipped with an advanced Virtual Reality (VR) Training Room, digital colour matching tool and an online training facility for customers that cannot be physically present at the centre. The VR training duplicates the paint spraying activity and experience, and enables customers to gain the benefits of the training without actually using the paint material. For more than 20 years, Axalta has been serving customers in India spanning from different business units across the automotive value chain with its transportation coatings, refinish coatings, auto plastic coatings and general industrial coatings. The customers include key international and local OEMs, as well as major car dealers in the region. General industries are also important sectors that will benefit from Axalta’s expansion in India. In addition to this new training facility, Axalta has three other training centres in India, one manufacturing plant, a state-of-the-art colour lab and two offices throughout India.